For Financial Professionals Learn how to attract and convert new clients. 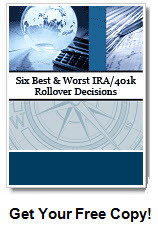 You must receive all, or at least a certain minimum, of your interest accruing after 1986 in the 403(b) plan by April 1 of the calendar year following the later of the calendar year in which you become age 70½ or the calendar year in which you retire, ther amount to be taken is calculated from the IRS published RMD tables. Check with your employer, plan administrator, or provider to find out whether this rule also applies to pre-1987 accruals. If not, a minimum amount of these accruals must begin to be distributed by the later of the end of the calendar year in which you reach age 75 or April 1 of the calendar year following retirement, whichever is later. For each year thereafter, the minimum distribution must be made by the last day of the year. If you do not receive the required minimum distribution, you are subject to a nondeductible 50% excise tax on the difference between the required minimum distribution and the amount actually distributed. Pre-1987 money can stay in the plan until your client reaches age 75. But if he/she rolls over pre-1987 403(b) funds to an IRA, the “grandfathered” status is lost. If you are still employed at age 70 1/2 and do not own 5% or more of the company you work for, then you can delay taking any withdrawals from your qualified plan or 403(b) until April 1 of the calendar year after the calendar year you retire. You must still calculate and take an annual RMD for other tax-deferred retirement accounts each year after you turn age 70½.